Just go find another team to root for. One year later a stupid people are still trying to tear him down and the Giant's decision to take him. I love the kid and its over. Move on and support him or go find another team already! Unless you can build a time machine and go back and convince management to draft Darnold STHU. Tired of you people. Just dont read the posts then. Last I checked we live in a free country. Heck I still cant get over drafting sintim over lesean McCoy. Or flowers over Gurley. My stance would of been to pick up the damn phone on draft night listen to offers for the number 2 pick. What a moronic comment . Who are you to tell someone how to be a fan ? Being a fan does not mean you agree with every decision . My stance would of been to pick up the damn phone on draft night listen to offers for the number 2 pick. Though I wasn't an advocate of trading back...it would have made more sense than drafting a running back at #2 ("generational" or not). This topic already dominates half the threads on the forums. Why give it another? Yeah, kind of like how every news story about the Iraq War had to mention the fact that Saddam didn't have WMD. I mean...why did people have to key in on the blunder that led to the war instead of just focusing on the day-to-day minutiae that followed? No, that isnt an apt comparison for my point exactly. A better comparison would be if every discussion about every topic got turned into a conversation about WMDs in Iraq. But every discussion about every topic DOESN’T get turned into a conversation about drafting Barkley @ #2...only the ones addressing the future of the New York Football Giants. And just how does your complaining help anything? It's over. My girlfriend doesn't know how to move on either. You can't focus on building a better future if you're stuck in the past. What can we do MOVING FORWARD to get better? But alas, this is a free country. Keep crying. How does anything we do on this board help anything? Your acting like I lose sleep at night wondering what if, jr drafted McCoy or Gurley. It's a message board. 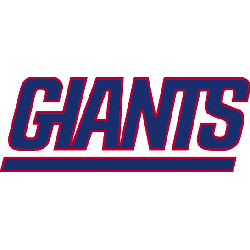 People are going to talk about the history of the new york football giants. Good and bad. The Barkley pick is going to loom over this franchise , until the day the next franchise QB is brought in. No one , knows when that will be . It could be this draft, it might take years. 8 posts since October, where have you been? How does your complaining about how others post help anything? Not sure what your ex-girlfriend has to do with the Giants as Barkley will be here next year while your GF will be with another guy. 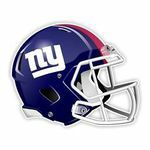 I'm a bit concerned this QB class is weak and based on next seasons weak (as is) schedule the Giants could quickly find themselves with a record preventing them from drafting a solid QB. That's a bit concerning for the future knowing they had both the 2nd and 6th picks and still have potentially a void at the most important position in football. Perhaps that's the big picture moving forward and nobody is stuck in the past. But hey, it's a free country besides my Giants tickets and I don't believe the NFL gives away franchise QB's for free nor is there a surplus of them on a Walmart shelf.